Over time, feng shui has become a decorating phenomena for balancing energy in your home while reaping the benefits of improved living. This ancient Chinese belief claims that areas in life such as success, health and happiness are heavily affected by a home’s layout or how objects are arranged within living spaces. 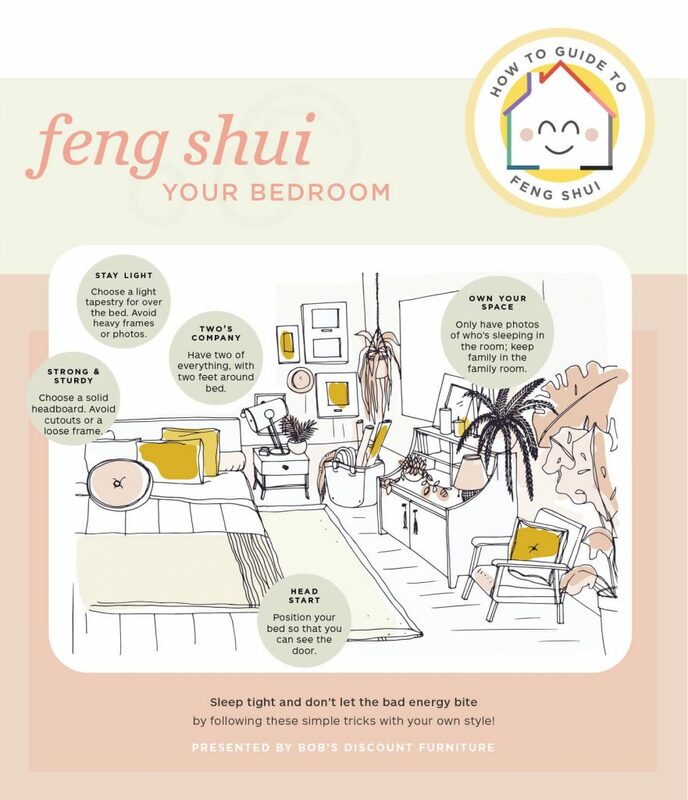 Feng shui can be a helpful way to fight negative stress or fatigue through calming and relaxing interiors. However, it is also known for being a fairly complicated process with very specific practices and steps in order to work correctly. 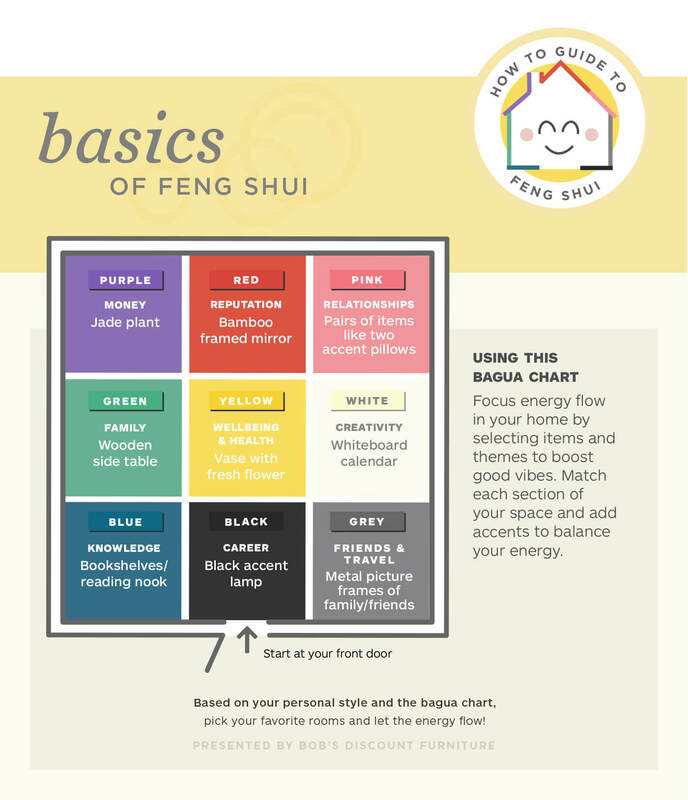 Believe it or not, feng shui can be simplified and used in your interiors to harness good energy and reduce stress. Situate your home based on the location of your front door and then decorate areas based on the corresponding sections of the chart. Fill those spaces with accents and colors that cultivate that particular life value. For example, the southeast corner of your home, room or yard signifies your wealth sector. Purple accents and items that cultivate money will bring you good fortune. A good piece to accessorize with here may be a jade plant in a purple vase. It is important to think about what areas of your personal life may be the most affected by stress. Whether it be wealth, relationships, family or health & wellness, focus your efforts to better the energy in those sectors for living that is both vibrant and carefree. 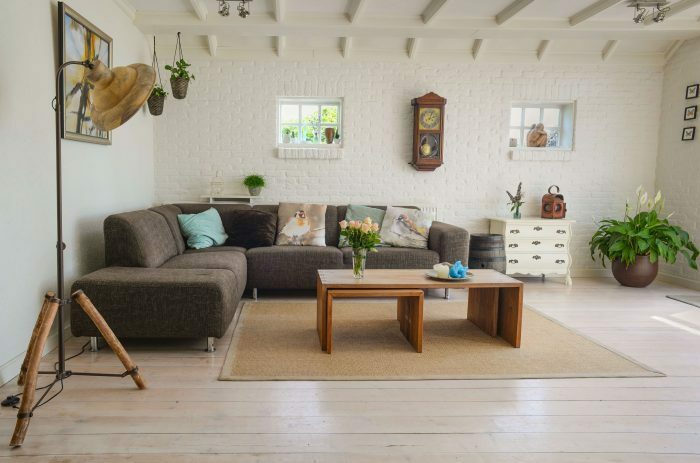 While feng shui places a lot of emphasis on what you place inside your home, you should also be aware of how you place objects as well. Your home should be free of clutter and unnecessary distractions that may otherwise cause stress. Tidying up is a perfect way to achieve a sound mind. Having a more purposeful space could even diminish unrest or frustration and spark more joy in everyday life. There are several ways to improve tranquility in one of the most intimate spaces in your home. In your bedroom, only place photos of those sleeping there to foster an intentioned commitment to recharge each day. Ideally, bed frames should be free of cutouts and should face diagonally toward the entrance of the room to promote feelings of security. In terms of bedroom placement, early birds should position furniture that face the east while night owls should take advantage of westward facing rooms to better match their individual energies. Pair that with a comfortable mattress that won’t break the bank, and you’re guaranteed to catch some better zzzs. Forgo harsh, fluorescent bulbs that may cause strain on your eyes. Fill your home with as much natural light as possible and supplement with warmer lighting and incandescent bulbs to increase happiness and inspiration. Utilize table and floor lamps instead of abrasive built-ins to create a space with more ambient light. Window treatments should be thoughtful. When there is an opportunity to display a beautiful view or landscape, do so as much a possible. For privacy, rather than throw up unattractive blinds, choose curtains made of light fabrics to create a more harmonious environment and allow better energy to flow. Living spaces are an area where levity and ease can thrive. Create equilibrium in your space by pulling furniture a few inches away from walls, windows and beams. Pathways are an important factor in allowing good energy to abound, so be sure that furniture is placed with enough space around it to avoid overcrowding. Display family members and loved ones with the use of gallery walls, avoiding straight lines and instilling comfort throughout the room. Rugs are a great way to incorporate colors from the bagua chart provoke notions of stability. Feng shui decor can be tricky to accomplish based on this practice’s principle of less is more. However, your space should still reflect who you are as an individual. Hang artwork that is meaningful to you and eliminate anything that may stir up anxiety such as failed projects or past relationships. Fill your home with accessories that promote luck and prosperity such as house plants. Keep in mind that plants with rounded edges tend to create a more peaceful surrounding environment. Bring in colors that fit your lifestyle. Brighter colors such as yellows, reds or oranges promote liveliness, pastel lavenders or blues are known to soothe stress and earth tones like greens, greys and browns are effective in creating a space with peace and tranquility. 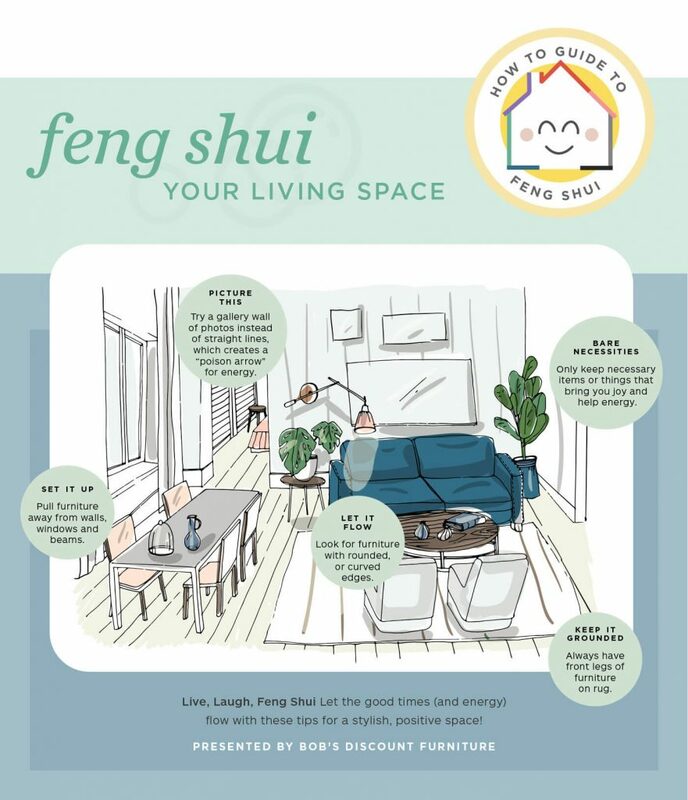 While feng shui is not actually proven to completely enhance every aspect of your life, being more mindful of your surroundings should in turn reduce stress and discomfort. No matter how you practice, remember to stay true to yourself. At the end of the day, you are the one who calls your space home.